2018-10-24. Published in category Exposing. Like William Casey said, “We’ll know our disinformation campaign is complete when everything the American people believe is false". 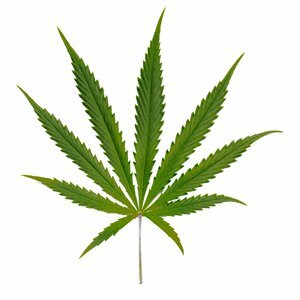 Comments to this blog on marijuana from "Guest". Also see the others. "Honestly it should never have been made illegal to begin with. I believe it is one of the foods that Paul spoke of when he said people would command others to obstain from foods which God created. It is MUCH safer than the pharmakia created by man and not being the tree of knowledge of good and evil, it is allowed by all to consume. The tree of knowledge of good and evil is the ONLY plant forbidden to men. The key is to use medicinal plants which God created, not abuse them or be controlled by them." "The main reason that it was made illegal is that it also kills cancer. Lung cancer rates rose from the 1930’s when it was made illegal and dropped in 1995 when it was first legalized medically in the US again." Now here is an article that shows how the greedy potion makers took a plant that God created and isolated a single chemical within it to make it into a drug that kills people. Meanwhile the native populations where the coca plant grows use the leaves to make a drink similar to the way the British use tea with no ill effects. I think we’re just about there. Yes. The SSRI psychiatric pharmakia potions are perhaps the most destructive drugs ever created. In Babylon, if a child is “hyperactive”, aka the fake ailment ADHD, they will put even elementary age children on that poison. From what I’ve read, they cannot be abruptly stopped but weaned over a period over 6 months. And they also cause suicidal thoughts. Cannabis, a plant which God created, has no such horrendous side effects. ADHD is a fake ailment! I willl laugh when the criminals (those who love Lucifer-Satan) are burning in HELL! I think it will be more relief from suffering here on this earth than laughter. Sometimes I feel the same way but we need to make sure that their vileness doesn’t cause our love to grow cold. I ask God to grant repentance to as many as will receive it but to those who reject it that He would remove them from troubling us by any and every means necessary. He takes no pleasure in the death of the wicked and desires that all would repent although many will refuse to. What insanity is worse than committing eternal suicide because that’s what they will be doing. Paul asked for protection from evil people. Not a hair of our heads will be lost according to Jesus but I believe He was talking about our resurrected/changed eternal bodies. I expect the worst from the world but God will undo their killing of us by raising us from the dead and wiping away every tear. Previous post: "Eugene Peterson’s The Message, the most dreadful and dangerous Bible"